You will definitely start seeing mainly dresses on RD’s Obsessions. I want to take advantage of the summer weather and summer clothes. Dresses are only comfortable during the summer season in Chicago. Us Chicagoans definitely embrace the summer heat because before long, we know the harsh winter will be upon us. Therefore, I’ve bought quite a few dresses for the summer (husband is rolling his eyes haha). I was able to determine which dresses I know I will get the most use out of and are the most flattering. 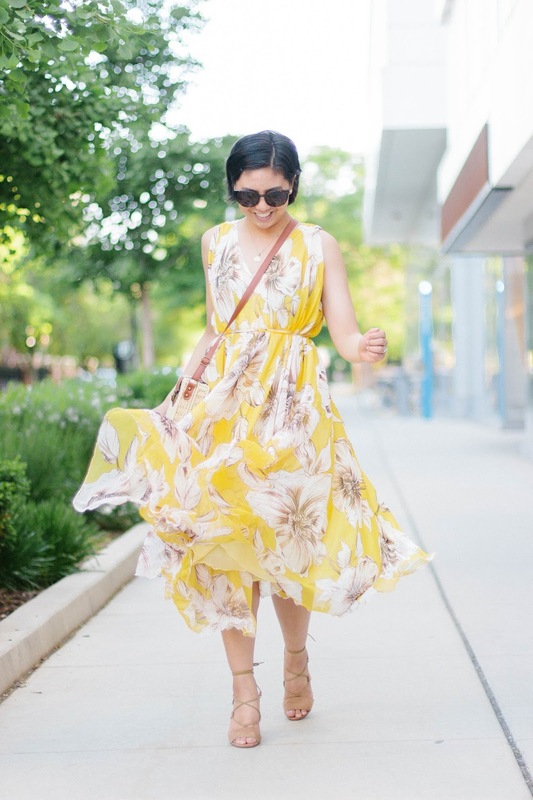 See this yellow floral maxi dress, well ladies this is the only dress you need for the summer. It pretty much checks all the boxes for summer activities and occasions and oh it is flattering! Pretty much for any body type! If you are having trouble deciding on a size, I am wearing a size small and it is pretty roomy (I will explain why I love the roominess below). I already said this above, but because of the style of the dress, it is made to fit any body type. I was unsure with the overly flowy style, but as soon as I tied the waist, it was like the dress was made for me! My mom and sister tried it on too and they look amazing in it. Each one of us has a different body type. Hello, this dress is only $61.97! 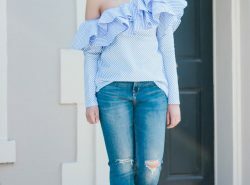 After reading more of my reasons, you will see why this dress is so under priced! Because of its flowy style, you don’t have to worry about how it fits. It is so breathable and you don’t have to feel so self-conscious in it. This dress is so versatile. 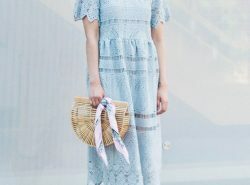 It is perfect for a wedding, baby showers, bridal showers, walking around the city being a tourist (I recommend pairing it with a two banded sandal), date night, girls night, picnic, and pool/beach coverup. Yes, you heard me it makes an awesome coverup. The tie-waist is completely detachable and it gives it a beachy, coverup look! How many dresses do you know that can be worn in a wedding and as a swimsuit coverup? Bet it’s close to none. Oh yea I also almost forgot to mention, work appropriate! Just pair it with a cardigan and ballet flats and you will be the chicest girl in the office! I think this is the most important reason. It is a fun dress! The movement is so beautiful! The patterns and color is pretty and scream happy! You can’t go wrong with that. Even though yellow is the color of the season, if it is not for you, the dress comes in several other colors: blue, pink, purple, violet, turquoise, mint green, and green. You look incredible! I always think brunettes looks so awesome and yellow and this is no exception! What a lovely print and beautiful summer dress! This dress is so beautiful on you! I love the yellow floral print! Such a pretty dress! Love that color on you! LOVE this floral dress. So cute for summer! That dress is SO gorgeous! 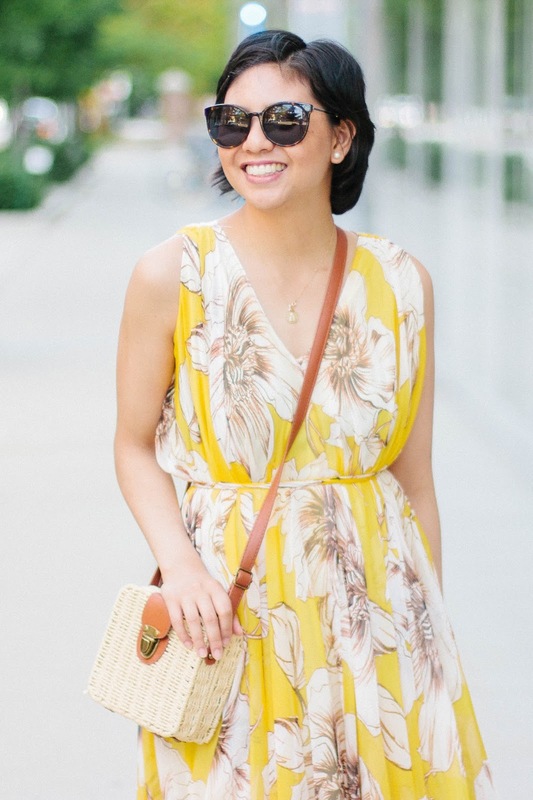 I've been experimenting with wearing shades of yellow but I think this dress is not only the perfect shade but the perfect pattern! I love the flattering flowy silhouette as well! Love love love! I hope you found some good yellow outfits! Thanks Deborah! The color of this dress is unreal! I love it! You look amazing, Rach! I agree with you: This dress is SO fun! LOVE it so much! Gorgeous dress! You are totally rocking it. Btw, another thing I love is when dresses have pockets! It's not often that they do, but when it happens, I am in love! Yes! I love dresses in pockets! Unfortunately this one doesn't have any, but I recently bought some that do! That shade of yellow looks absolutely amazing on you!!! I am totally with you on dresses for summer! Loving this fun one. The print and cut are so great. Beautiful dress! And it looks super comfy! This dress is perfect for summer! I can see how it would look nicely on so many shapes and the yellow shade looks like it would flatter a lot of different skin tones too. Very pretty! Love your handbag, this is also a must need for summer! It really is! Been wearing it nonstop! Yellow is so pretty on you! Love this look. Yes – I need that dress. So gorgeous and vibrant with the color and print! Thanks Jessica! It would look beautiful on you! So wonderful dress!! Love it and looks really good on you! Wow! This dress really is versatile if you it can be worn in a wedding and as a swimsuit coverup… And you look amaizing 🙂 ! Such beautiful dress!!! Love the color and it suits you very well!!! I love your sandals too :). Thank you Kiki! I am so with ya on dresses! Hence, why I love them so much haha! I would agree! This dress is so stinkin' gorgeous! 🙂 LOVE IT! This dress is SO pretty and breezy and everything a girl needs for summer! This dress is so gorgeous on you and definitely super versatile! You look beautiful! Hope you have a great weekend girl. Omg this is actually the cutest little dress ever!! 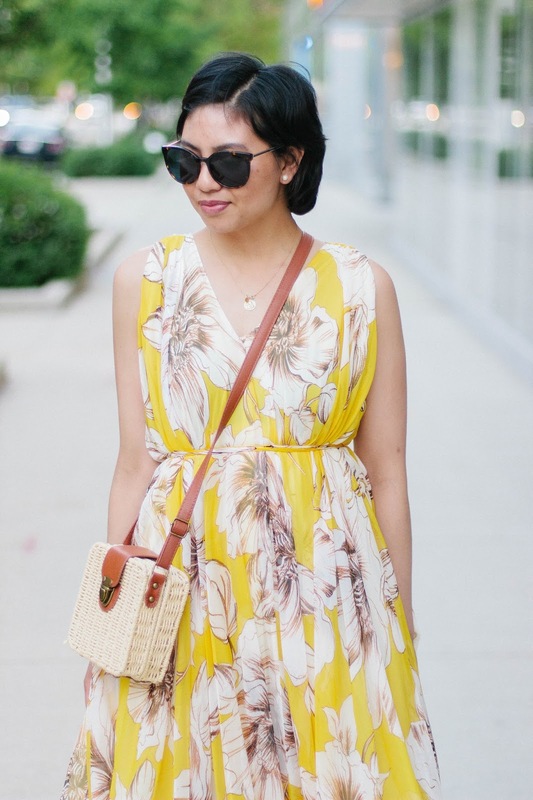 I absolutely love yellow dresses and the florals make it even better. Thank you So much H! In love with his print, the fit of the dress is perfection too! I'm loving this outfit, absolutely gorgeous.